Hello again! Hope you're having an awesome weekend! SCS's Inspirational Challenge today is featuring the Pier1 site. Don't know about you, but I happen LOVE Pier1 and so I wanted to play along. Below are three Halloween Cards that I created. I started with a punched ghost frame. 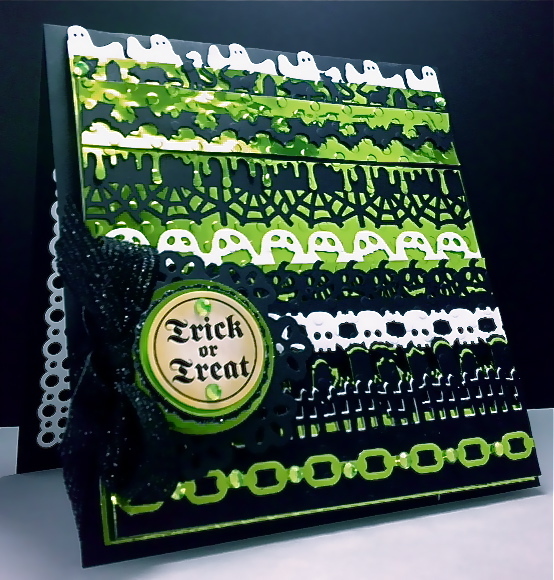 Then added the lattice die for the BG and went from there adding and layering elements. 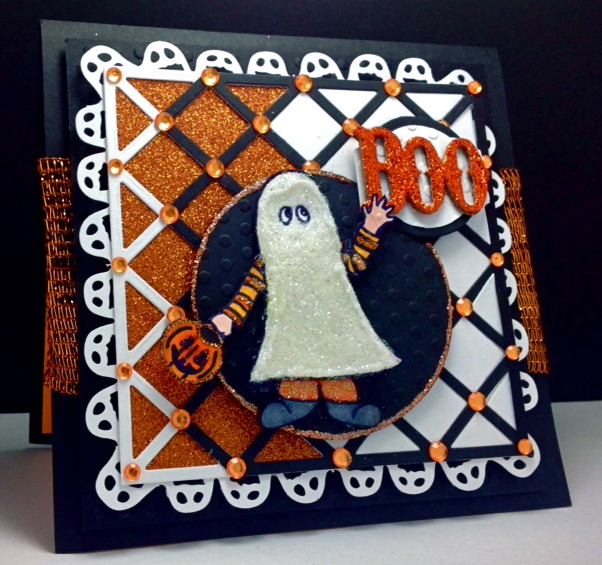 The Ghost is twice layered for dimension and textured with glitter glue and ultra fine glitter. Fun cards, heh?? Hope you're getting some crafty time for creating your Halloween projects too! 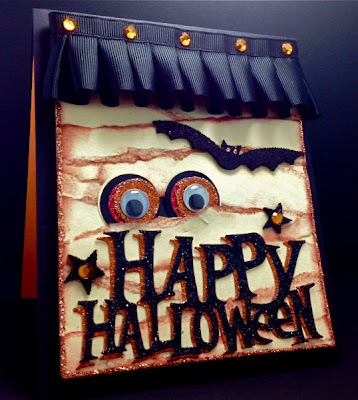 And lastly, if you haven't yet entered for your chance to win my great HALLOWEEN BLOG CANDY GIVEAWAYS, please click HERE to go directly there. OK, the top one with all the borders might be my favorite! oh wow fabulous cards .. I love that first card, all green and black and so many strips of different patterns! It's definitely from the creepy witch's cauldron eerie glow side of Halloween! 3 brilliant and stunning cards America.